03 September 2008 (London, UK) – Fortune Affiliates is the first igaming affiliate program to receive the new eCOGRA “Affiliate Trust Seal”. 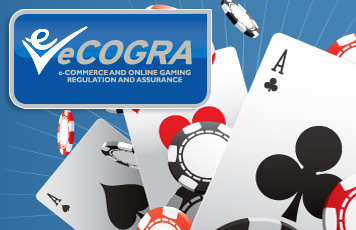 eCOGRA, the independent, non-profit standards authority of the online gaming industry, oversees fair gaming, player protection and responsible operator conduct. Just as the organisation’s Safe and Fair Seal has identified the most reputable online casinos and poker rooms, the new eCOGRA Affiliate Trust Seal now recognises affiliate operators that observe the same standards of fairness and excellence. Fortune Affiliates was awarded the Seal after a thorough audit and on-site inspection. Like eCOGRA’s accreditation process for gambling site operators, the new service introduces detailed best business practice standards for affiliate program companies, backed by a strict inspection and monitoring system and the display of the new eCOGRA Affiliate Trust Seal. Fortune Affiliates, which administers thousands of affiliate marketers of the Fortune Lounge group of casinos, poker and bingo rooms, was chosen to participate in a pilot project with eCOGRA during its year of study and standards development. The new standards, which underwent an extensive on-site audit and inspection during the Fortune Affiliate pilot project, are a set of generally accepted principles (eGAPs) for online casino and poker room affiliates. Although there are others monitoring affiliate programs, eCOGRA provides the most public, structured and formal on-site approach and ensures adherence to consistent standards through regular monitoring and full annual reviews carried out by highly qualified inspection and auditing compliance teams. “The eCOGRA Affiliate Trust initiative is more about actually going and visiting the management and operations of affiliate programs, gaining direct access to check relevant player and affiliate data to ensure that affiliate members are being treated fairly,” said eCOGRA CEO Andrew Beveridge. Details of the Fortune Affiliates program and information on the online casinos, poker and bingo rooms included in the program are available at www.FortuneAffiliates.com. The eCOGRA Affiliate Trust program is described in detail at www.ecogra.org/affiliates.